A common trend in the film industry is the constant competition and displacement of incumbent materials. Whether you have plastic films replacing paper or plastic film trying to disrupt glass, the materials battle is relentless. 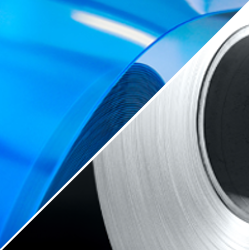 That is why there is no better time to discuss aluminum foil and plastic films. Especially since there is an even larger geopolitical and economic conflict taking place over the trade of aluminum. Over the past 7 years the U.S. has seen a large volume increase in aluminum foil imports from China. The impact on U.S. producers has been substantial. In November the Commerce Department imposed aluminum foil anti-dumping duties on China imports ranging from 96% and as high as 162%. This month the U.S. Commerce Department took it a step further and recommended a 23.6% duty on aluminum from a specific group of countries and quota limit on the rest of the world. Before examining the relationship between films and foils, let’s look at some of the properties of aluminum foil. Aluminum foil has performance characteristics that make it an ideal material across applications. Other than being highly conductive, aluminum foil has superior oxygen barrier and moisture barrier properties. As the U.S. continues the trade skirmish with China, how will U.S. manufacturers that rely on aluminum foil respond to supply shortages and price increases? A possible answer could come from the film industry. Film has already replaced some traditional packaging that relied on aluminum foil. When you open a bag of chips you can see aluminum metallized film on the inside because of the moisture and oxygen barrier properties of aluminum. The more recent trend in food packaging is the demand from customers to be able to see the product they are buying. The film industry found a solution that can provide similar properties to aluminum foil and give the consumer the buying experience it demands. How is this done? The main technology driving clear barrier films is achieved through aluminum oxide coatings, silica, and mica coatings. These are just a few examples of how film has replaced traditional aluminum foil. With a shortage of supply and an increase in prices, what is the next application that could be replaced by a film or laminated film solution? Carl Fiddler is the Marketing Manager for DUNMORE. Prior to joining the company, Carl received his MBA from Philadelphia University where he pursued his passion for marketing and researching new markets.